Relocating in cold weather in a nutshell - what to expect? 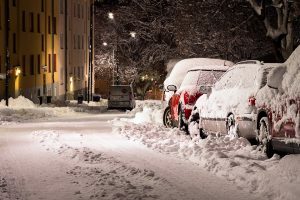 For many people relocating in cold weather doesn’t sound ideal, but still there are several good reasons why it can be a good decision. Even the cold fall and winter days are not the most desirable period to perform a household move, there are some unbeatable advantages that may prompt you to schedule your move exactly for one of these days. As it turns out, some people are forced to do it due to some unforeseen circumstances and inevitable life changes. But, others who have the luxury to pick a moving date as they please may want to take the time and consider the following suggestions. In spite of short and cold days, slippery and snowy roads and fast approaching holidays moving in inclement weather can be a good deal considering all benefits. It’s no secret that most people choose to move house between May and September because of the warm weather and school break. Although moving rates are higher due to a high demand, people seem to prefer moving during that period. However, those who are moving on a tight budget will be happy to learn why moving during the off-peak season might be a good idea. Hopefully these pointers will help you make the most out of your fall or winter move. As moving season starts to die down in the late fall, movers are willing to offer some special moving deals in order to attract customers. Due to a competitive nature of the NYC moving industry, moving companies will try to beat other companies’ offers. During the slow moving season you are likely to score some significant discounts depending on the type of the move. Also, if you are downsizing and need to place your belongings away from home for a while, bear in mind that you can come across some affordable storage fees. Due to decreased storage occupancy during the winter period, you are likely to get some amazing discounts and promotions. Furthermore, if you want to score even better price with the best local or long-distance moving company, consider moving during the week. What’s more, movers will be much more flexible when scheduling your move. They will work with your schedule and ensure a moving date that suits best your needs. 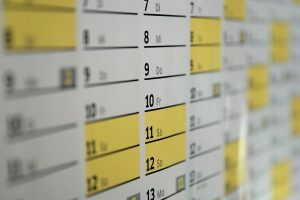 Also, since most people tend to move around the end or beginning of the month, you will have a better chance of scheduling your move toward the middle of the month. If your move is imminent, why wait until the busy and more expensive spring season? After all, you will have more freedom to schedule your move whenever you want. Having done your research, contact only short-listed moving companies and request several moving quotes. Beware of too-good-to-be-true offers with extremely low moving estimates. Given the number of rogue movers trying to take advantage of the naïve customers, you should think twice before hiring a certain company. Slower real estate market makes reputable agents more available, which means that they will have more time to dedicate to your quest. Your search for a new home will be much smoother with a professional real estate agent by your side. Also, since there will be fewer buyers, it might not take that long for you to find your dream house. In addition to that, if you are selling your old house, winter can be an ideal time for it. If you choose to move in cold weather your items won’t get damaged by overheating for sure. But, there are other difficulties and challenges that may endanger the entire move. Keeping personal injuries at bay and protecting your belongings from unpredictable weather conditions is a major task that shouldn’t be underestimated. Ensuring personal and your possessions’ safety throughout the process is the number one task on your checklist. How to protect my items when relocating in cold weather? When relocating in cold weather you are likely to face a number of difficulties. You can either have a smooth or a cancelled move – anything can happen! Circumstances beyond your control can ruin your moving day in the blink of an eye. But, everyone’s hoping for the best when taking that risk. Monitoring weather forecast closely a couple of days prior to moving day can give you a clear picture of the future climatic conditions. Whatever the outcome, you should give your best to protect both your belongings and property when relocating in cold weather. As it turns out, cold weather and temperature variations can cause a serious damage to some of the most fragile possessions. 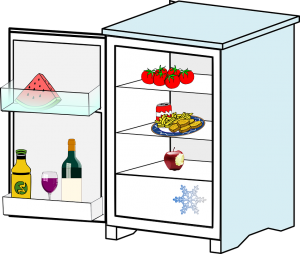 -Kitchen appliances that handle water (fridge, washer, dryer) should be defrosted, drained and cleaned thoroughly. Any residual moisture may freeze when exposed to extremely low temperatures and damage your kitchen appliances. -Artwork pieces are not only valuable but also very delicate as they are made of temperature sensitive materials. You may want to be extra cautious when packing and moving your valuables. Also, purchasing additional moving insurance can keep you covered if anything goes wrong during the transport. -Wooden furniture can be extremely vulnerable to cold and temperature fluctuations. Use quality packing materials, moving blankets and plastic wrap to protect your furniture against severe weather conditions. -Use completely sealed original boxes to pack and transport electronic devices. Also, once your reach your new destination do not plug in your electronics immediately. Those sensitive gadgets also need some time (to be precise – a full day) to acclimate to a new environment. -Plants are unlikely to survive any kind of move, especially if it takes place in cold weather. No wonder why movers refuse to take responsibility for plants and to transport them. 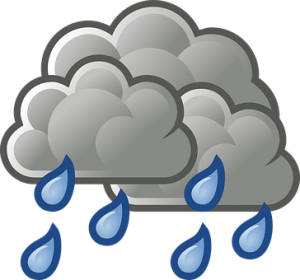 Therefore, you should decide wisely which items are worth moving in an inclement weather. Some of them are easily replaceable, so transporting them doesn’t make sense.